Henry Fitzroy was born sometime in June, 1519 (most likely on the 18th) at the priory of St. Lawrence, Blackmore near Ingatestone, Essex. His father was King Henry VIII of England and his mother was the king’s mistress, Elizabeth Blount, known as Bessie. Henry rejoiced in the birth of this healthy male child and considered him proof of his virility. The King instantly and publicly recognized him as his natural son. Initially, the care of the infant was turned over to his godfather Cardinal Thomas Wolsey, king Henry’s chief minister and the child spent his earliest years with his mother. When he turned six, he began living in Durham House on the Strand in London. On June 7, 1525, Fitzroy was elected as a Knight of the Garter and inducted on the 25th. On June 18, 1525, he was created Earl of Nottingham and elevated to a double dukedom with the titles of Duke of Richmond and Somerset. This was the first time since the twelfth century a king had elevated a natural-born son to a peerage. The title of Richmond was held by King Henry VII before the Battle of Bosworth and the establishment of the Tudor dynasty. The title of Earl of Somerset had been given to Henry VIII’s great-great grandfather John Beaufort in 1397. Beaufort had been born illegitimate and he and his siblings were later legitimized. These titles endowed Fitzroy with lands, most of which belonged to his great-grandmother Margaret Beaufort. The property gave him £4845 in income in the first year, making him wealthy and the premier magnate of the realm. 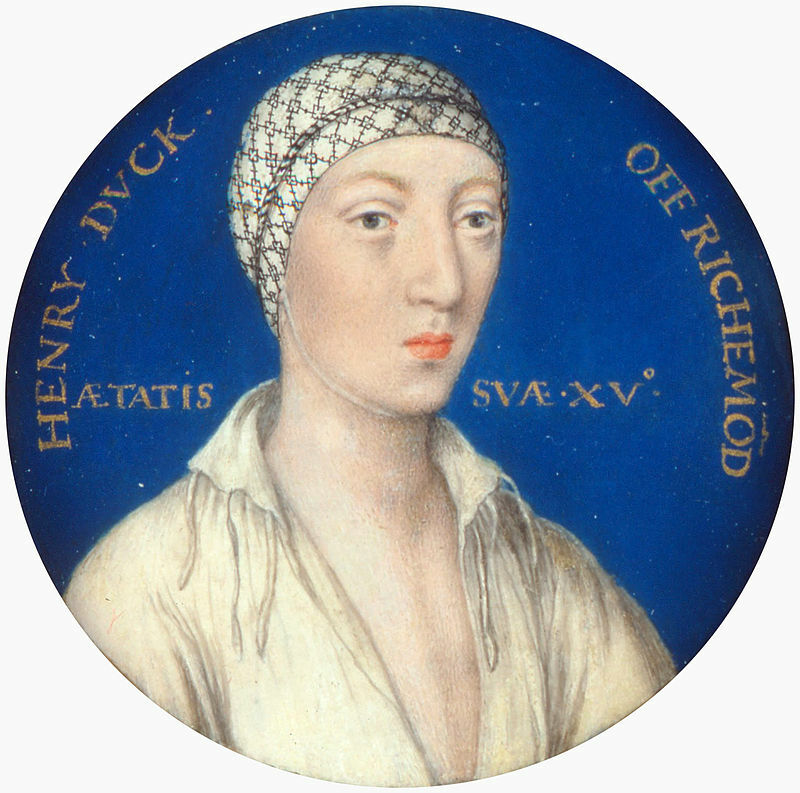 Rumors began to circulate that King Henry intended to name Richmond as his heir. Another post given to him in June of the same year was warden-general of the marches toward Scotland and lord admiral of England. His new duties included being the head of the newly revived Council of the North. He received £88 for new clothes and his council included many important men from King Henry’s court. As he traveled on his way north, he decided not to ride in the horse litter provided by Wolsey but to ride his own pony. From August of 1525 to June of 1529, he lived in Yorkshire at Sheriff Hutton or Pontefract with a full-scale ducal household. He grew up to greatly resemble his father physically and shared King Henry’s passion for outdoor pursuits such as tennis, horseback riding and hunting. He killed his first buck at the age of six. He was intelligent, articulate, energetic, competitive and hotheaded. He was extremely athletic and reveled in martial arts, jousting and training in the use of arms. He got along very well with his father. It was even noted by the Venetian ambassador that Henry VIII loved the Duke of Richmond ‘like his own soul’. They exchanged letters and gifts, not just the customary New Year’s gifts but throughout the year. The King once gave him a fletcher of arrows worth twenty shillings. In 1531, he was given a lute. A golden collar with enameled white roses was another luxurious present. While living in the north, Richmond took part in ceremonial occasions such as receiving local dignitaries. His studies began and he received a thorough humanist education including instruction in French, Greek and Latin as well as music. He sometimes came under the influence of his companions who encouraged him to skip his studies and pursue entertainments, jokes and outdoor activities to the exasperation of his tutors. Occasionally he had to be paid to attend to his studies. The first wife considered for Richmond was Catherine de’Medici in February 1527. This was to counter the interest in her by the French king’s son Henri, duc d’Orléans and by James V, King of Scots. In March, another match was discussed with the Infanta Maria of Portugal in an effort to thwart a Franco-imperial alliance. It was rumored Richmond would be made King of Ireland and he was actually given the title of lord lieutenant of Ireland in June of 1529. It was about this time his household in the north was disbanded and he spent time either at Wolsey’s manor of The More in Hertfordshire or at court, either at Greenwich or Hampton Court Palace. He attended sessions of Parliament in person and was treated as if her were an adult. After the death of Wolsey, Richmond was given into the care of Thomas Howard, third Duke of Norfolk, probably on the suggestion of Anne Boleyn, the niece of Norfolk and the soon to be second wife of King Henry VIII. The idea of a marriage for Richmond with one of Norfolk’s daughters arose at this time. Beginning in 1530, Richmond moved to Windsor and Henry Howard, Earl of Surrey and son of the Duke of Norfolk became one of his companions. Surrey was to act as a mature example for Richmond to emulate and they became fast friends. In 1531, King Henry gave his son Margaret Beaufort’s former house of Collyweston in Northamptonshire. Richmond had a short illness in January of 1532. In October 1532, he accompanied the king and Anne Boleyn to Calais for a meeting with King Francis I of France. It was negotiated for him to join the French court. King Henry returned to England and Richmond, the Earl of Surrey and about sixty attendants left Calais and headed west. They were greeted along the way with presents and wine. At the end of November, they were welcomed at Chantilly on the outskirts of Paris. King Francis himself embraced Richmond saying he now felt as if he had four sons. The entire entourage left for Paris and Richmond was lodged with the Dauphin Francis and his brother Henri in the Louvre. He spent the winter in Paris dining and cavorting daily with the princes. While in France, Richmond experienced the vicissitudes and the pleasures of French culture. He followed the court on summer progress from Paris to Lyons before being recalled home in August 1533. Upon his return to England, he was married to Mary Howard, daughter of the Duke of Norfolk on November 26th. The marriage was never to be consummated as they were both too young. He was given increasing responsibilities. He hosted a feast in honor of the French admiral in November 1534 and honored the imperial ambassador in February 1535. Richmond was present at the execution at Tyburn of three Carthusian monks from the London Charterhouse where he witnessed them being hung, drawn and quartered on May 4, 1535. He attended the execution of Anne Boleyn at the Tower of London on May 19, 1536. In early 1536, he was given Baynard’s Castle in London and arrangements began to be made for him to be joined by his wife and live there. It was to be the beginning of his independence as a powerful magnate in England. 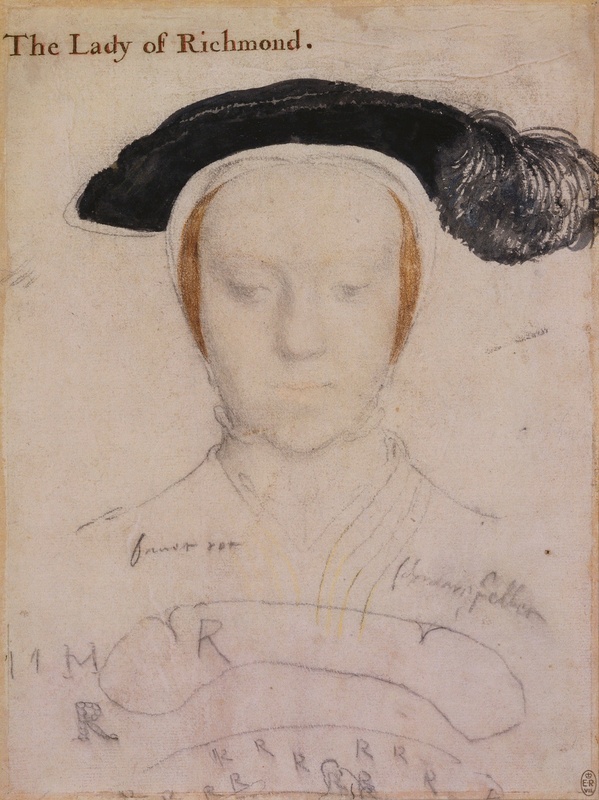 King Henry would marry Jane Seymour after the execution of Anne Boleyn and fully expected to produce a male heir and therefore hesitated to name Richmond as his definitive successor. However, he was keeping his options open. In May of 1536, Richmond was given more appointments such as lord warden of the Cinque Ports, constable of Dover Castle and chamberlain of Chester and north Wales. 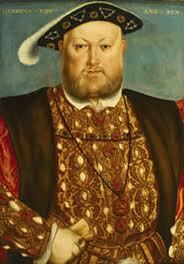 He was last seen in public at the opening of Parliament on June 8, 1536. His final illness was first mentioned on July 8, 1536. He was dead within two weeks on July 23 at St. James Palace. He most likely died of a pulmonary infection or tuberculosis. The Duke of Norfolk was in charge of his funeral arrangements and everything was kept low key and out of the public eye at King Henry’s request. At Norfolk’s own expense, he had Richmond’s remains wrapped in lead and placed in a wooden coffin. The coffin was hidden in straw and taken in secret in a cart to Thetford Priory where he was buried. After the Dissolution of Monasteries, his remains were transferred and interred in St. Michael’s Church, Framlingham, Suffolk.